The Government has come under attack for discouraging take-up of ultra-low emission vehicles with the latest announcement on company car tax rates in the Budget. 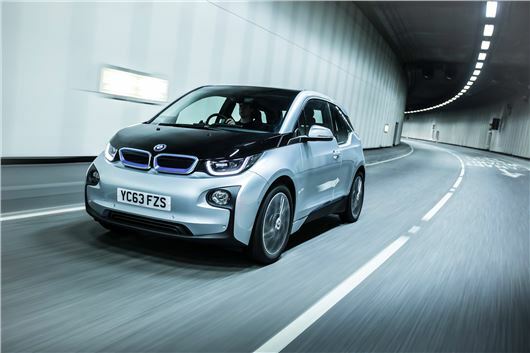 Fleet News reports senior industry figures criticising changes in the March Budget where in future the BIK tax for ultra-low CO2 cars will increase significantly faster than for other vehicles. The trade publication quoted Gerry Keaney, chief executive of the British Vehicle Rental and Leasing Association, accusing the Government of a lack of low-emission logic. He said: “The company car tax measures announced in the Budget will do little, if anything, to accelerate the uptake of plug-in cars. Government forecasts suggest a doubling in company car tax revenue between 2017/18 and 2018/19 whereas in recent years, the tightening of BIK tax thresholds has been largely neutral thanks to drivers choosing lower CO2 cars. He questioned whether the new BIK rates for 2017-18 and 2018-19 are moving ahead of the available technology or even whether the company car is being targeted as a source of incremental tax revenue. “It is arguable that the very stable fleet benefit-in-kind infrastructure of the last decade, where annual CO2 increases tended to be gradual, is now being accelerated,” Killeen said. The Chancellor announced that in 2017/18 and 2018/19 the BIK tax bands for cars emitting more than 75g/km would increase by two percentage points to a maximum of 37%. But he changed his mind in relation to previously announced increases for the two lowest thresholds – 0-50g/km and 51-75g/km – and altered the differential between those rates and the 76-94g/km threshold. In Budget 2013, Osborne said that the differential would be three percentage points in 2017/18, reducing to two percentage points in 2018/19. However, he has now decided that the differential will be four percentage points and three percentage points respectively. By maintaining a higher threshold differential than was previously announced, he can claim to be incentivising the take-up of ULEVs, but the reality is that drivers will face significant increases in their tax bills over the next few years. For example, an employee choosing a Nissan Leaf (0g/km) will have 0% tax liability in 2014/15, rising to 13% over the next four years. Meanwhile, an employee choosing a Toyota Prius Plug-in hybrid (49g/km) will see their tax rise from 5% in 2014/15 to 13% in 2018/19 – an eight percentage point increase and more than doubling their tax liability. An employee selecting a vehicle with emissions of 51-75g/km will see their tax rate rise from 5% in 2014/15 to 16% in 2018/19 – a threefold increase. Moving up a further tax band threshold, the driver of a Lexus CT200 Hybrid (87g/km) will see the tax charged moving from the 11% bracket to the 19% bracket over the next five years. However, because the Government has chosen to abolish the diesel supplement in 2016/17, the tax winners will be employees at the wheel of diesel models. An employee choosing a BMW 116d Efficient Dynamics (99g/km) will see the tax charge rising from 15% to 20% over the next five years having actually reduced in 2016/17 compared with 2015/16. It’s not just employees who will see their company car benefit-in-kind tax bills rise; employers will incur increases in Class 1A National Insurance contributions, which are due on benefits-in-kind. Days Contract Hire director Aled Williams said: “The Government is sending the fleet industry confusing signals. “While it wants businesses and company car drivers to select ultra-low emission models, they will be subject to the highest tax increases over the next five years. As a result, Williams expects to see more towns and cities introducing ultra-low emission vehicle zones such as the one being planned by Transport for London. However, the Energy Saving Trust (EST) says ULEVs can still make financial sense for the right drivers. It has compared a diesel saloon with a P11D value of £31,000 and an extended range EV with a P11D value of £37,000 for a 40% taxpayer. The driver of an extended range EV, with emissions less than 51g/km, would see the BIK rate increase from zero to 9% over the next four years. Meanwhile, the driver of the diesel car, with emissions of 109g/km, would pay a BIK rate of 20% in 2017/18 compared to 17% in 2014/15. For the employer, considering NICs over the same period of time, there is a saving of £2,094 assuming the National Insurance rate stays at 13.8% as it is today. Killeen also believes that increases in BIK for 2017-18 and 2018-19 will change the dynamic of salary sacrifice, substantially moving the threshold where opting for a car under salary sacrifice becomes financially attractive.